For those seeking a slice of small town America at its finest the Louisville neighborhood of Anchorage is the perfect place to begin the search. Located in Louisville's East End, convenient to all major roadways, Anchorage is a country oasis in the middle of the city. A very private and exclusive community, Anchorage residents enjoy vast green spaces, beautifully renovated Victorian estates and a thriving local economy. Values for Homes in Anchorage, Kentucky, range from about $400,000 up to well over $1,000,000. Although higher in price than most Louisville areas, Anchorage residents wouldn't trade their village-like haven for anywhere else. Perhaps that is why the average Anchorage homeowner stays in their home for over fifteen years. Unlike the rest of Jefferson county, Anchorage has its own public school system. Consistently ranking at the top of Kentucky public schools, Anchorage Independent Schools is known far and wide for their devotion to excellence, small class sizes, and teacher retention. Those interested in staying up to date on homes for sale in Anchorage can sign up for a free account with LouisvilleHomeHunter.com. 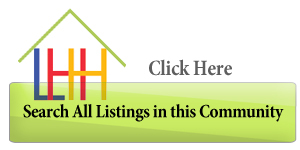 By doing so, you will get updates on new listings as well as price changes on the current homes available for sale in Anchorage. This page is updated on a daily with information from the Louisville MLS.